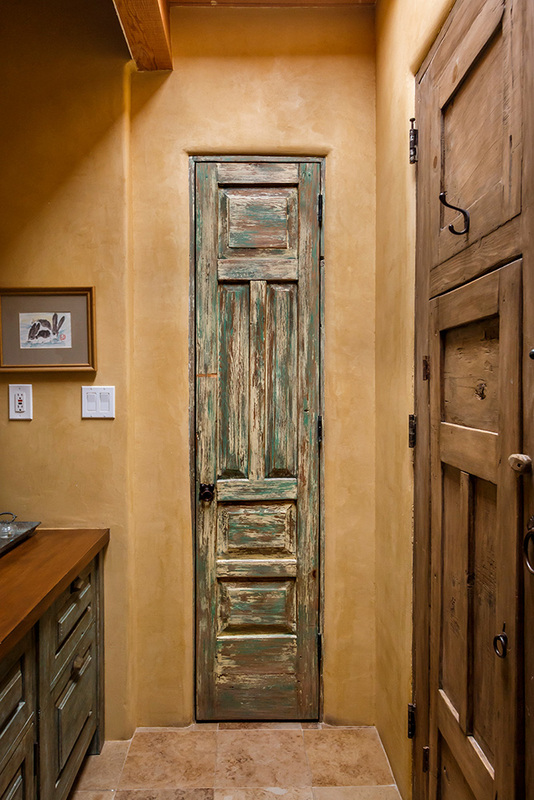 This custom interior door was made using an antique Mexican door. 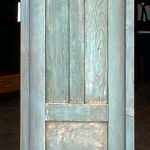 The finish touch is our multi-hued, hand-rubbed patina. 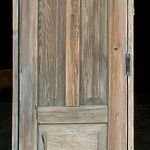 The detail photos show the original antique Mexican door used to make the linen closet door, as well as the front and back of the door out of the wood shop. 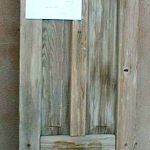 The final patina was added later.